Click individual images for full programme info. From there you can download the music direct to your PC. 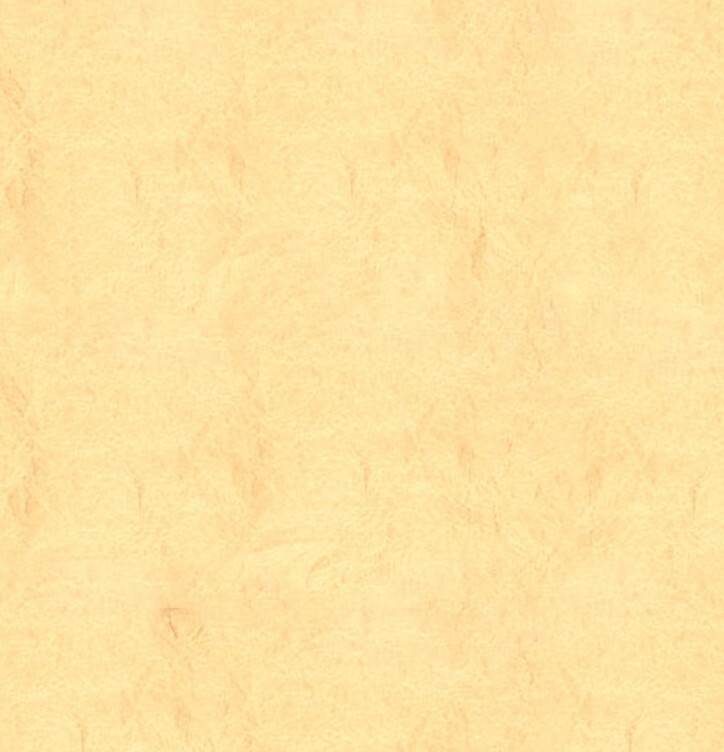 You can also download the full accompanying text. 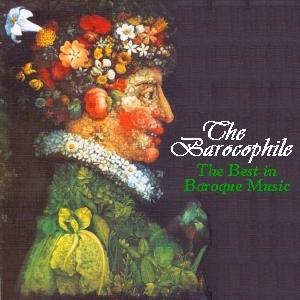 This double album offers a huge selection of all the best in Baroque Music. 79 minutes on each CD. 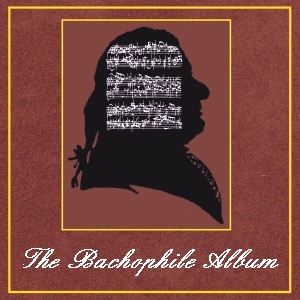 A double album featuring organ, pedal-harpsichord, chamber and orchestral works, choral too. 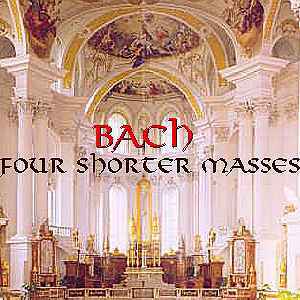 BACH 7012 - J S BACH: Four Shorter Masses & Sancti Schwabian Choral Society, Grischkat. 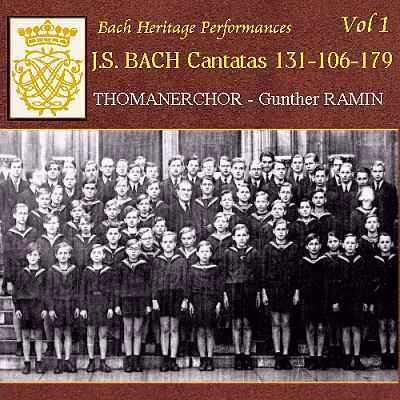 Double-CD set. 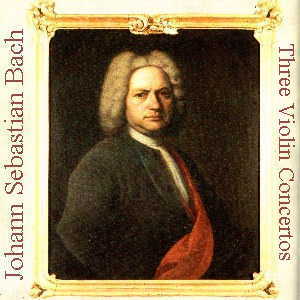 BACH 703 - Violin Concertos BWV 1041/2, Double Violin Concerto 1043, Violin & Oboe Concerto BWV 1060. 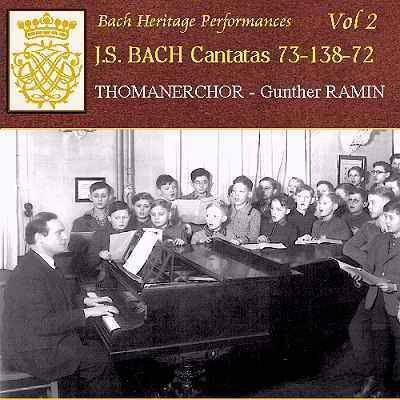 East Germany 1950s, with religion barely tolerated by the Communist government, the Sunday Cantatas by the Thomas Choir under Gunther Ramin were performed and broadcast under strict limitations, yet eagerly awaited by a despondent population. These are performances historically and musically unique, sung with power and passion. There are none like them, nor perhaps ever will be. 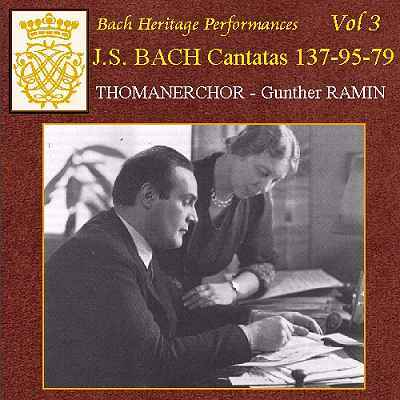 against which these recordings were made. plus excerpts from 67, 103 and 42. 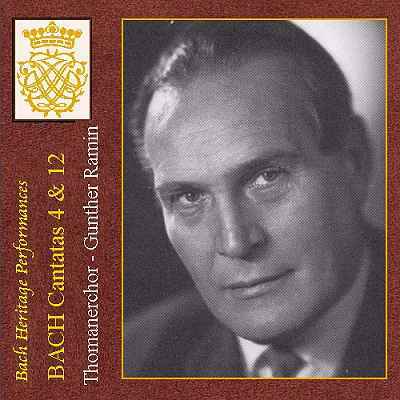 THOMANERCHOR and Gewandhaus Orchestra Leipzig, conductor Gunther Ramin. 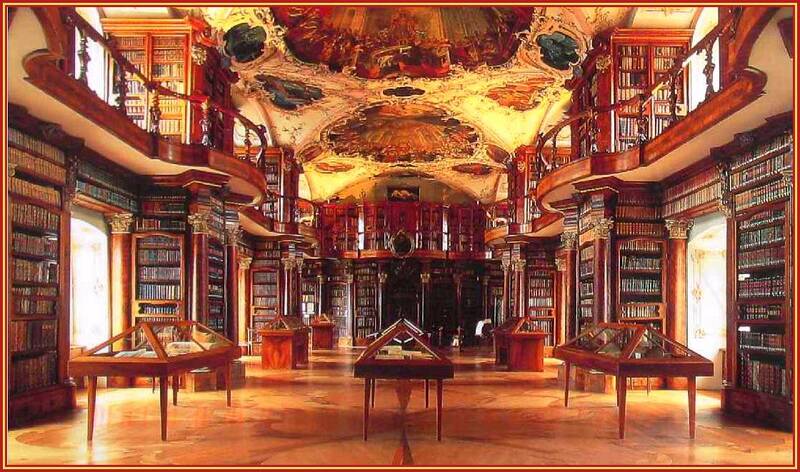 plus excerpts from 24, 111, 36 and 42.
plus excerpts from 43 and 128.